Mehdi Ghezali was arrested in Pakistan in 2009. According to public broadcaster SVT, Mehdi Ghezali, who for several years was imprisoned at the U.S. military base at Guantánamo Bay on Cuba, was carrying a Swedish passport bearing the name Mehdi-Muhammed Ghezali. The Swedish national was arrested at least once since his time in Gitmo. The image at the top of my blog post didn’t come from the media today. It came from a September 19, 2009 blog post at Immigrationspolitiks on Blogger, which appears to be a Swedish blog. Now, he’s dead, but not before blowing up a bus and taking several lives?? You have got to be kidding me! 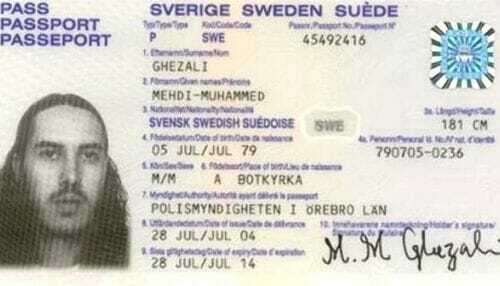 The Swedish government was forced to promise the U.S. to monitor Mehdi Ghezali. 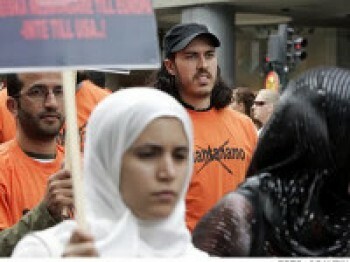 Sweden also agreed to stop him from continuing “terrorist activities”. The United States considered Ghezali as a threat, Pierre-Richard Prosper, a former official with the US Department of State, told the Expressen. The former Guantanamo Bay terrorist, Mehdi Ghezali, was arrested on August 28 along with two other Swedish Muslims, Munir Awad, and Safia Benaouda, in Pakistan and have been since imprisoned by the Pakistani intelligence service ISI. The final act of Mehdi’s life was murdering 8 innocent Israelis. 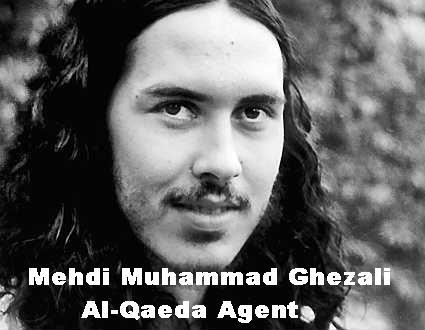 Burn in hell, Mehdi Ghezali. UPDATE: The Swedish Security Service responded with a brief statement that Ghezali was not the bomber.